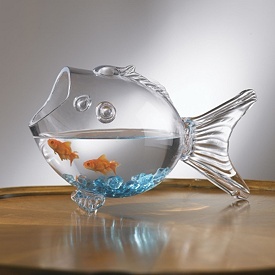 attitude « Living Life in a Fish Bowl! My morning started out a little rough. Did you know that you can change your day by changing your attitude? My attitude was heading south. There are a ‘million’ things I could focus on concerning my health and the way I am feeling BUT I want to enjoy this day. There are no do overs. So as with anything in my life – I took it to God. Maybe you need to pray this prayer with me. I also looked to God’s word to speak to my heart. If you haven’t read Ephesian 3 lately, I encourage you to read it. V14 because of Jesus and our faith in Him, we can come to God boldly and confidently. We don’t have to have it all together or say the right things but we come just as we are. V16 is my verse to hold on to today! V17 trusting Christ (in the good and the bad, health and pain) sinks our roots deep in God’s love and that keeps us strong – I want that! Yes, I am now ready to face the day as a mighty child of God.